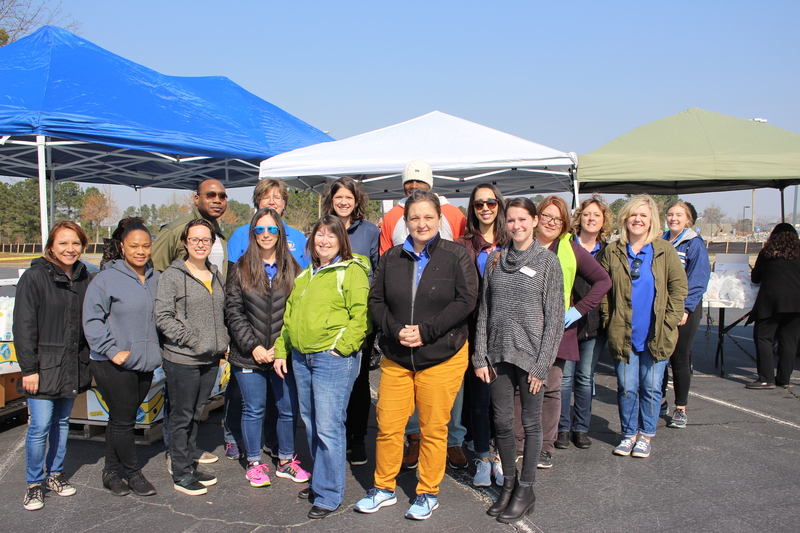 Thursday, March 21, the Atlanta Community Food Bank (ACFB) partnered with Gwinnett, Newton & Rockdale County Health Departments’ (GNR) WIC program, hosting a mobile food pantry outside the Lawrenceville Health Center on Grayson Highway. The event was open specifically to participants in the Women, Infants, and Children (WIC) Supplemental Nutrition Program. Participants received a box of fresh produce from Georgia farms and other items to make a meal, like spaghetti noodles and spaghetti sauce. “This is such a blessing,” one participant was heard saying. WIC program participants receive education about nutrition and health to help families eat well and be healthy, support and information about breastfeeding, and food vouchers to buy healthy foods from WIC-authorized vendors. Learn more about WIC and how to qualify.